I'm excited to share a guest post with you today from one of my favorite children's design & product guide blogs Buy Modern Baby. Esther always has such insightful and interesting posts. Thank you for being here today and everyone enjoy her inspirational post. 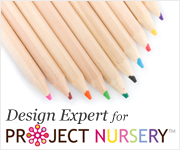 It's always exciting to appear on one of your favorite blogs, and I'm honored to have my picks here among all the beautiful inspiration on Nursery Notations. Thanks for having me! Andrika asked me to share some of my art finds and since there are so many, I've narrowed my picks today to alphabet prints for the nursery. 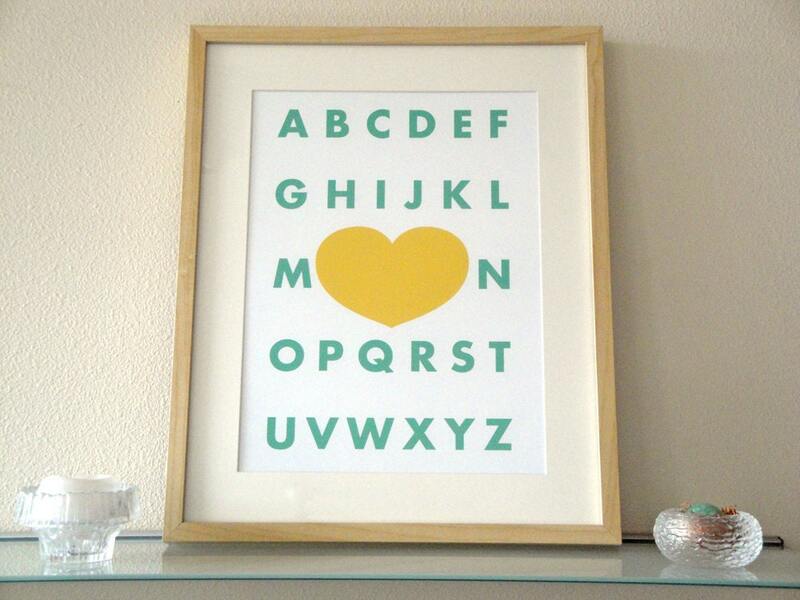 Prints are a relatively inexpensive way to decorate and there's an alphabet poster to suit any style. This first print, Modern Alphabet from Finka Studio, features a muted turquoise and warm golden yellow in a very simple design. Animal alphabets are among my favorites, and the illustrations in this Animal ABC Lithograph from Gumo are wonderful. If you can't figure out what all the animals are, the answers are at the bottom. 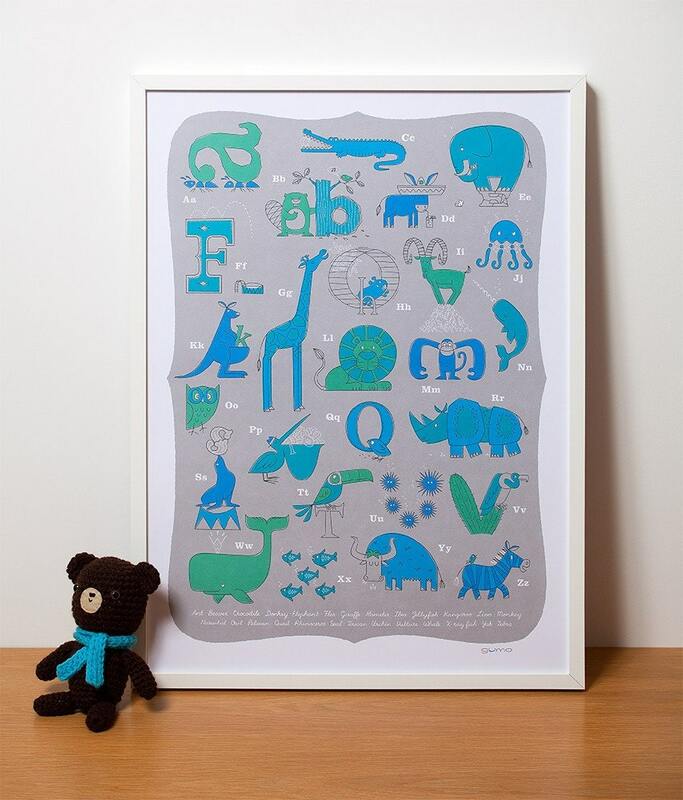 The ABC's Print by Eleanor Grosch may be one of my favorite animal alphabet's to date. It's got a great circus vibe to it. 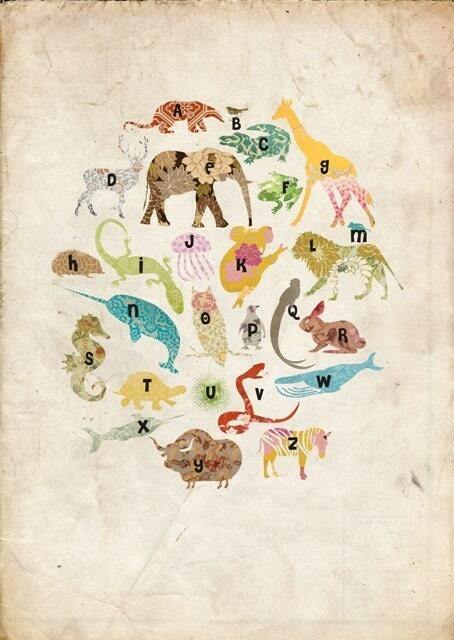 This Animal Alphabet Poster in vintage style from Marla Sea has beautiful pattern and texture. 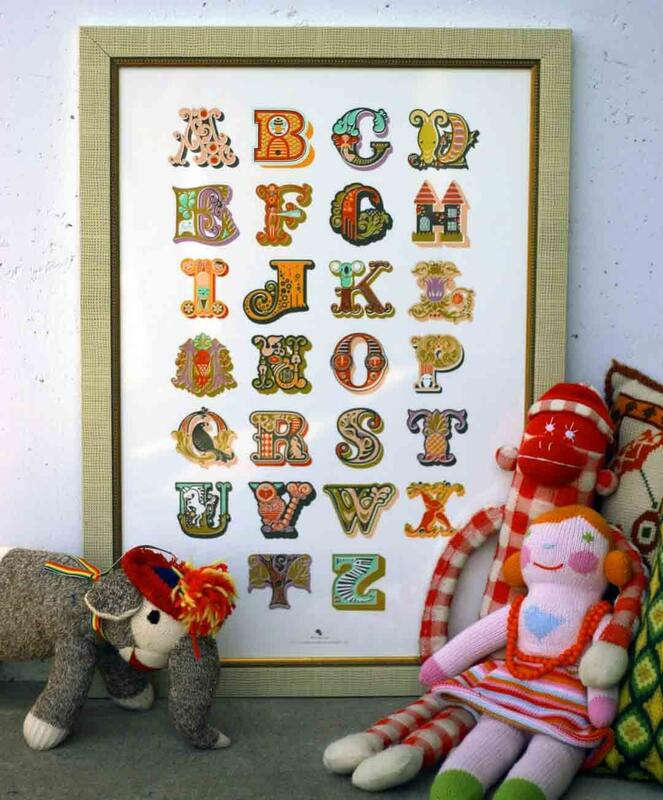 The artwork in this Decorative Modern Alphabet Giclee Print from The Paper Nut is absolutely spectacular, and you could design an entire nursery around this print. I've featured a lot more options on BuyModernBaby, so if you're looking for more Alphabet prints or other art, feel free to check out my discoveries! These are helpful for growing kids. It's an add before they go to school.